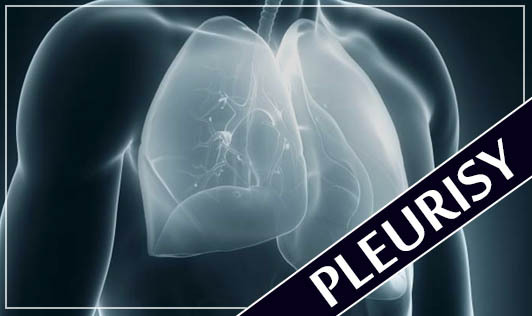 Pleurisy, also called pleuritis is swelling of the thin layers of tissue covering the lungs and chest wall. One layer wraps around the outside of the lungs and the other layer lines the inner chest wall. The two layers of the pleural membrane rub against each other like two pieces of sandpaper, producing pain when you inhale and exhale. A number of conditions can cause pleurisy. Sometimes, the inflammation of the pleura causes fluid to build up in the pleural cavity (pleural effusion). At that time, you may have less pain because the fluid prevents the two layers of the pleura from rubbing together. But, if there is a large amount of fluid, it may prevent the lung from expanding when you breathe in. This can make it hard to breathe. Contact your doctor immediately if you experience unexplained, intense chest pain while breathing!